Meghan Trainor got it wrong in her hit song - it IS all about the BASS AND TREBLE. With 500 Watts of Peak Power, you can you can turn up or dial down the bass and treble on Technical Pro's Bluetooth stage speaker system to your preference. So easy to use and handle, the Bluetooth stage speaker system is ideal for everything from DJing gigs and events to your own backyard BBQ. 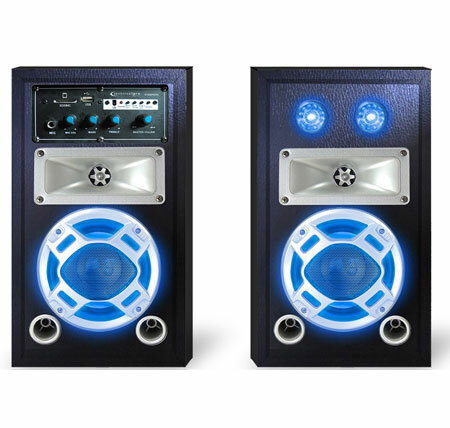 With this speaker system from Technical Pro, you're guaranteed to have a great time! 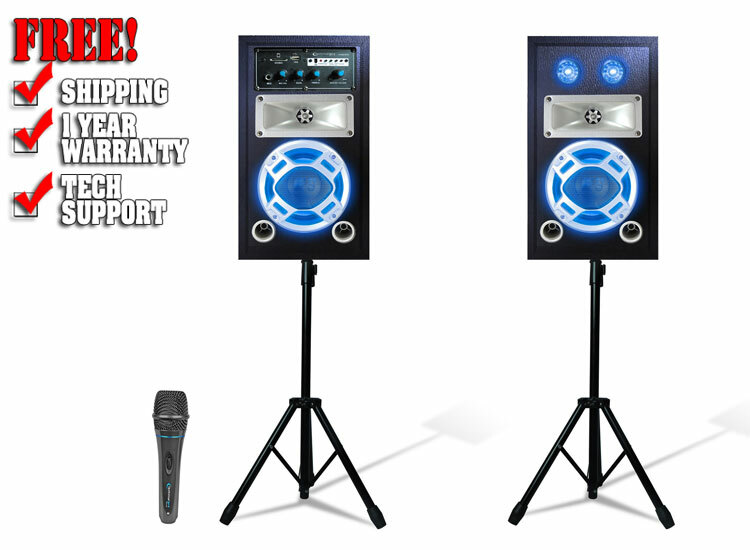 The Technical Pro Bluetooth stage speaker system is the ultimate stage package. The StagePack5 includes two speakers (powered and passive), two tripods, and a microphone. The powered speaker powers itself and the passive speaker, so no need to worry about unnecessary tangled cords. And, the individual volume control of the microphone allows you to command attention and become the star of the show. All at a price that can't be beat! Are you not working with a huge music space? The Event Coordinator got the number of chairs, tables, and food count right, but left out the dimensions of your music set-up? Don't worry, because the Bluetooth stage speaker system is space-friendly! These Technical Pro speakers are stackable! And, with the speakers reinforced corners you can stack with confidence and assurance of long-lasting durability. Last but not least, the Bluetooth capability of this speaker system is out of this world! 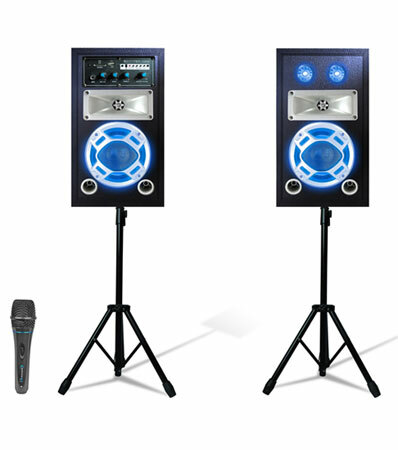 The Bluetooth stage speaker system allows for wireless connection to any A2DP stereo Bluetooth device. That means you can stream music from cell phones and PCs/computers without the hassle of plugging in cables. In addition, to cell phone and PCs/computers this Technical Pro speaker system is also SD, USB, and MP3 compatibility. The Bluetooth stage speaker system from Technical Pro is a great and affordable package that would make a fantastic addition for your music entertainment needs.